If you were to twist my arm and force me to take just one thing from this morning’s final day of the Polar Libraries Colloquy it would have to be the description of a metric described by Andrew Gray, formerly of the British Antarctic Survey, comparing the number of publications produced by a country on Antarctica with the number of beds in their Antarctic research stations. Chile and Russia are doing notably less science than their number of beds would suggest. Maybe they could collaborate by renting out some beds? Having a research station does not mean that science has been done and building a station is not enough. Following a policy change which was derived from the BAS research on publications, all Antarctic countries now need to produce some scientific papers. But before we got to that, we had several other wonderful papers, kicking off with human-animal encounters in Arctic tourism by Jose-Carlos Garcia-Rosell and Mikko Äijälä. This paper reminded us that we tend to forget animals when we are considering tourism services. Tourists want to have encounters with animals; for instance whale watching has become very popular. Semi domestic animals like reindeer have become a symbol of the Arctic but we must remember reindeer are not social animals – they do not like to be petted. In Lapland 35 companies now offer tourism related to reindeer and 42 companies offer tourism relating to huskies so animal welfare is a growing concern. Little academic research is available on the welfare of Arctic animals but the presenters are aiming to change this using videography as a research tool. The need for this research has been established through a survey in which 68% of people visiting Rovaniemi airport considered animal based activities as an important reason to visit Lapland. Do huskies like to run? What is the dog thinking? The presenters are using the concept of agency to try to find out. Next up were Professor Timothy Aarrevaara and Susanna Parikka discussing Arctic value for society (AVS). This is proposed as a way of providing a useful university ranking for Arctic universities which will not be based on prestige, reputation or citation indexes, since Arctic themes are hidden in Scopus and Web of Science. The University of Lapland understands its stakeholders and intends to use the AVS as a framework. It started in 2017. It will be low cost and requires only a low level of work in data collection but will lead to a ranking list of the Arctic Universities based on their value for society. Bulgaria is putting a surprisingly high amount of its National focus on Antarctic research. so I look forward to investigating altmetrics further. The penultimate paper came from Minna Abrahamsson-Sipponen, Library Director of the University of Oulu Library. 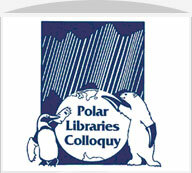 Minna’s library have developed 4 positions devoted to bibliometric analysis. Such analysis has become a crucial part of the academic recruitment process. In concluding, Minna dared to look ahead to what type of expertise Libraries may need to thrive in the future mentioning avatar librarians and software architects. It’s been a superbly organised PLC2018 with some fascinating speakers and before we wrapped up there was just time for Joe Bouchard and Stefano Biondo from the University Laval to give us a sneak peek of what we might expect from the next Colloquy to be held in Quebec City in 2020. It looks like it’ll be terrific. Bring it on.